Google today released a new beta of Android P which includes a preview of new emoji updates coming later in 2018. 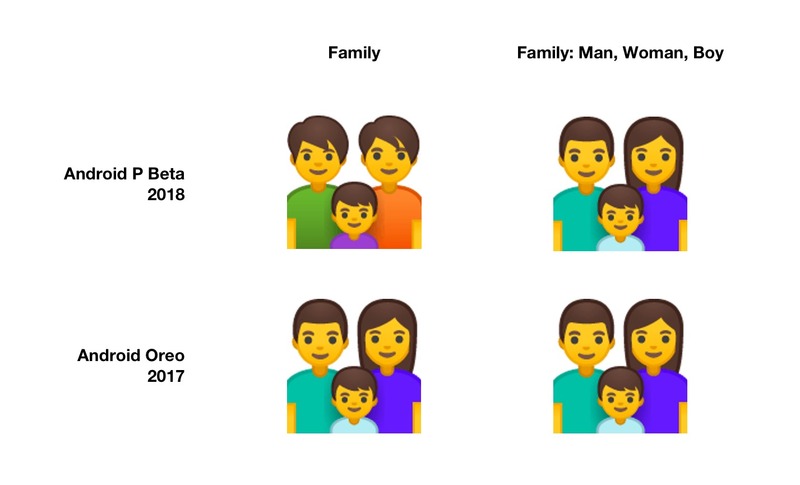 Mixed amongst a collection of emoji design changes and new emojis are two changes that give a nod to a potential future direction for Google: a gender-inclusive family and gender-inclusive couple. Above: The default family emoji doesn't specify gender and Android P now uses a gender-inclusive design for this emoji. For clarity aren't new emojis - these emojis already exist in the Unicode Standard and Google is now more closely following guidelines that recommend if a gender is not mentioned, then a gender-neutral or gender-inclusive display should be used. The previous 👪 Family emoji had the same appearance as the explicit 👨‍👩‍👦 Family: Man, Woman, Boy emoji, and now they have different appearances. The situation is the same for the 💑 Couple With Heart emoji which now shows a gender ambiguous display for both of the people in the couple. The specific 👩‍❤️‍👨 Couple With Heart: Woman, Man emoji is unchanged. In the current Android Beta only two emojis take on this nonbinary appearance, however it appears to be a nod from Google that we might see more of this in future releases. For context, Google previously used genderless "blobs" for a number of emojis that now have a gendered human appearance. These were retired in 2017 to pave the way for new emoji professions which featured a man and woman version for each. 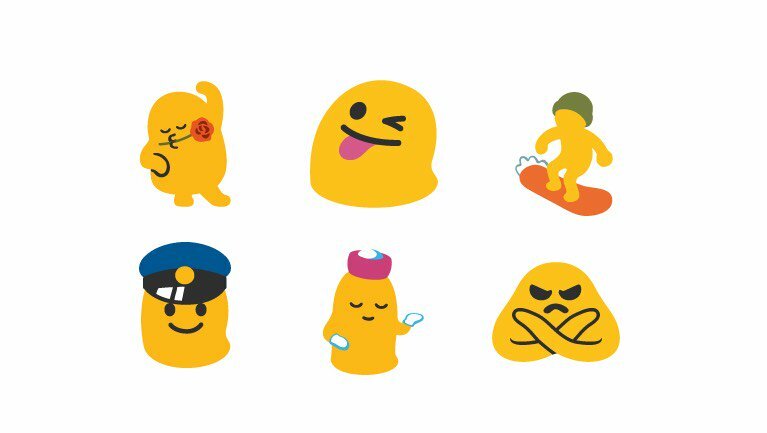 Above: Google previously displayed a number of now-human emojis as androgynous blobs. Image: Google / Emojipedia composite. While this update is not a return to gender neutral blobs, it does recognize that a choice of Woman-Man, Man-Man, or Woman-Woman couples may not be a good fit for people who don't identify as either gender. 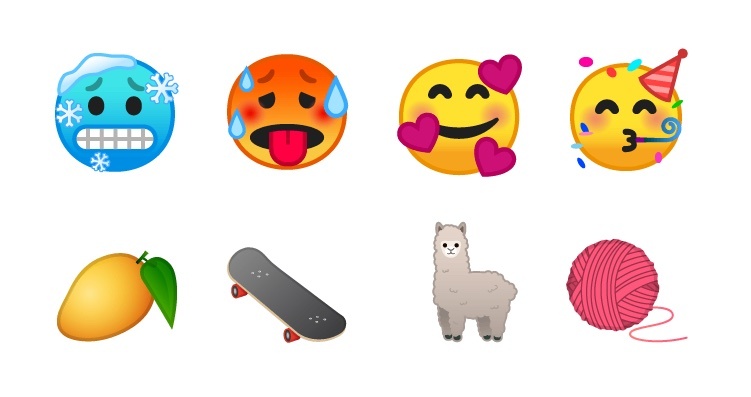 Today's Android beta includes the 157 new emojis which include a cold face, hot face, mango, and llama. Above: New emojis in Android P Beta 2. Image: Google / Emojipedia composite. Also new is the long-awaited support for redheads. These come in the form of 12 new emojis: six redheaded women, and six redheaded men. Above: Redheads are included in Android P Beta 2. Image: Google / Emojipedia composite. 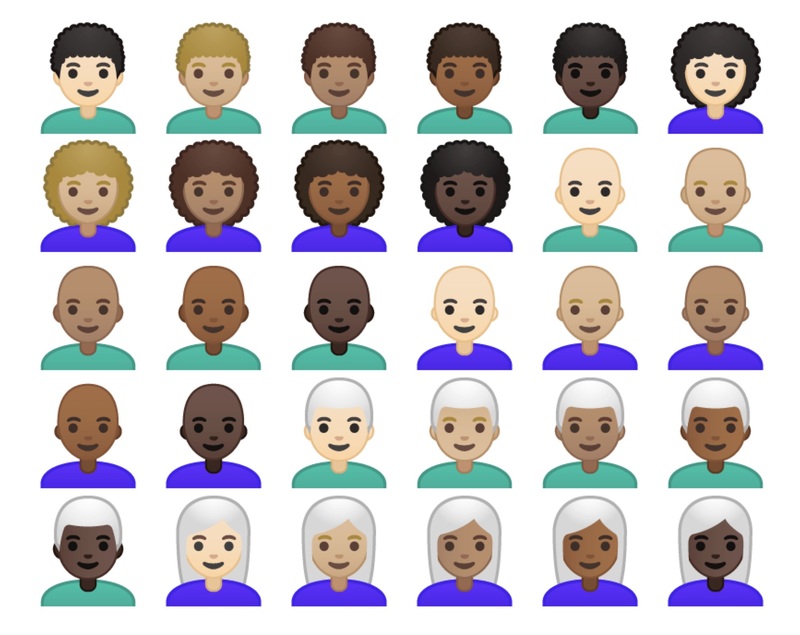 Other hair-related additions from Emoji 11.0 include curly hair, white hair, and bald people. Above: New choices for the top of your head in the next Android release. Image: Google / Emojipedia composite. A number of existing emojis have had design updates in today's Android beta. 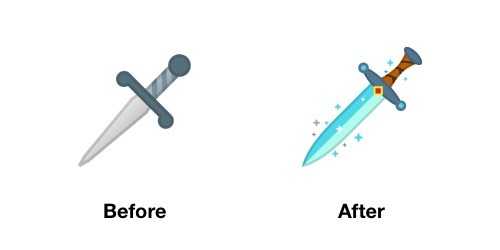 🗡️ Dagger has gained sparkles and a decorative gem on the handle. 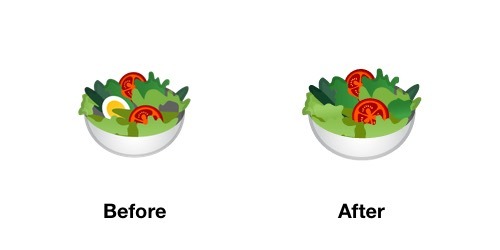 🥗 Green Salad removes the egg, making it a vegan salad. 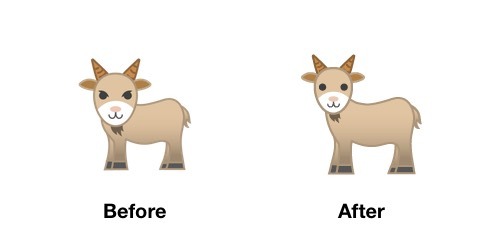 🐐 Goat has lost the furrowed brow giving it a less aggressive appearance. 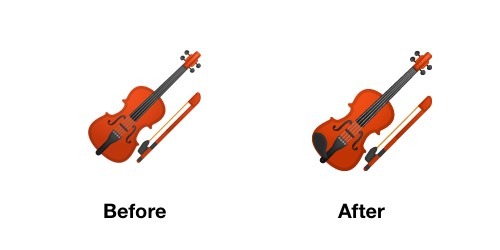 🎻 Violin now includes a chin-rest. 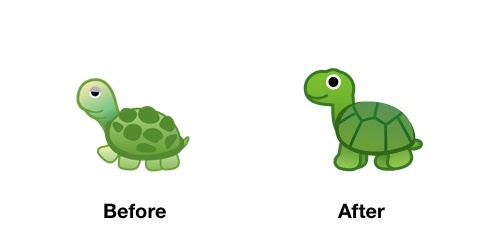 🐢 Turtle is more alert than in the previous release. 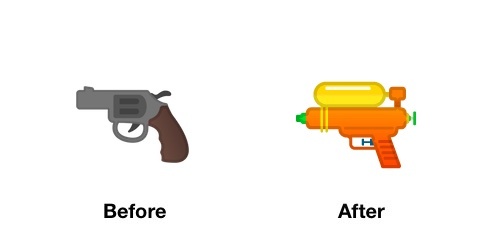 🔫 Pistol has changed from a weapon to a fluorescent orange toy. 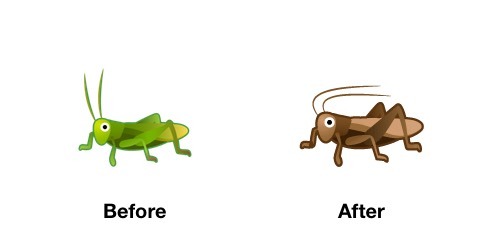 🦗 Cricket is now a cricket and not a grasshopper. Android P Beta 2 is out now for those with eligible devices and coming to consumers in July or August 2018. As with all beta software, designs included today are subject to change prior to the final release in the coming months.